Carl was born November 14, 1981 in Edmond, OK to Carl Edward Bailey, Jr. and Holly Darlene Joles. He owned and operated Bailey’s Paving in Joplin. 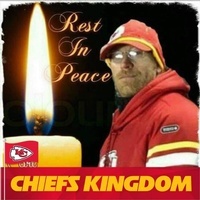 Carl is known for his many acts of kindness and being a very big-hearted person and a very avid Kansas City Chiefs fan. Survivors include his parents, Carl Edward Bailey, Jr, Carl Junction, Holly Bennett and husband, Brian, Oronogo; two daughters, Carlie and Gemma Bailey; two brothers, Taylor Bailey and wife, Alyssa, Carthage, Brian Bennett, Oronogo; two sisters, Cody Shiveley and husband, Nathan, Locust Grove, OK, Briley Bennett, Oronogo, and many uncles, aunts, cousins, nieces, nephews, and friends. He was preceded in death by his maternal grandparents, Robert Elmer Joles and Fern Darlene Joles and his paternal grandparents, Carl Edward Bailey, Sr. and Margaret Louise Bailey. Funeral services are planned for Tuesday, May 1, 2018, at 2:00 p.m. at 1st Baptist Church of Webb City. Rev. Wanda King will officiate. Burial will follow in Ozark Memorial Park Cemetery. The family will receive friends Monday from 6-7 p.m. at the church.